With deadly and disruptive weather events on the rise, focusing on business continuity during these events is the key to a prepared and resilient organization in the coming years. To be better prepared requires understanding where the industry has been, where it is today, and where it’s headed. In an effort to help everyone get a better idea of trends and changes in how organizations handle business continuity, we’re conducting our second annual business continuity survey. Don’t you wish you knew where your peers stand on important and controversial topics? Now’s your chance to share your knowledge and in return see what everyone else is doing. Once we finish collecting responses, we’ll create a report filled with the top insights. These insights will help you assess your current procedures and plan for what’s to come. Keep reading to learn more about our survey or take it now by clicking this business continuity survey link. Our 2019 State of Business Continuity Survey is open to business continuity and disaster recovery professionals. 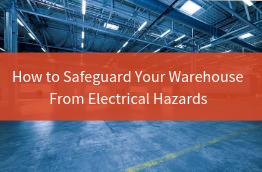 It doesn’t matter if you work for a single store or a chain of nationwide retailers: If you’re in business continuity, this survey is for you. Our survey is mostly multiple choice and should take you no longer than 10-minutes. It’s broken up into a few parts with heavy emphasis on top focus areas for 2019, threats and preparedness, and severe weather. Each participant that completes the entire survey will have a chance to win a $250 Amazon gift card. We’ll draw the winner randomly at the close of the survey, sometime in February. The more responses we get, the more accurate picture we can paint. Please share the survey with your peers. The survey is embedded below so all you have to do is share this blog post using the social icons at the very top or very bottom of this post. Make sure you complete the survey in its entirety for your chance to win the gift card. If we don’t have your email, we can’t tell you that you’ve won! The 2018 State of Business Continuity Report was eye-opening for the folks here at Earth Networks. We learned a lot about the concerns of professionals in areas like threats, training, and funding. After you take this year’s survey, you can get ready for the results by reflecting on last year’s. You can read the report by clicking the button below. If you have any questions about this survey or the work we do with business continuity professionals, please let us know in the comments below. 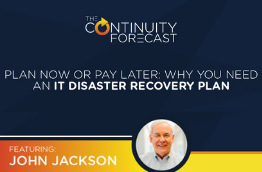 If you’re looking to improve your business continuity and disaster recovery operations, we just launched a great podcast series. The Continuity Forecast: Because Business Never Stops is available on all major podcast players. In this podcast series we interview professionals from the field and get the latest tips straight from the people who work with these issues every day. 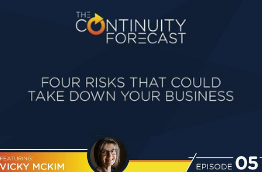 You can listen to the business continuity podcast on iTunes. Make sure to drop a rating if you listen in!